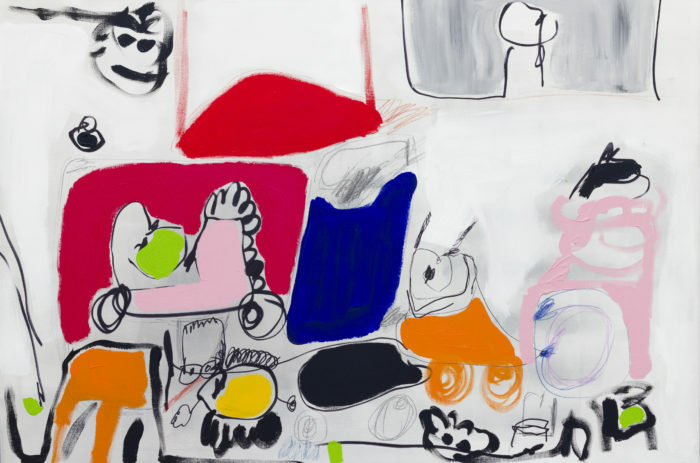 The abstract expressionism of Jackson Pollock and Cy Twombly meets the urban graffiti aesthetic of 1980s art superstars like Jean-Michel Basquiat and Keith Haring in the colour saturated world of Xavi Carbonell, which also has its influences in the freedom and joy of children’s paintings. Born in the Spanish province of Alicante in 1971, Xavi works between his native home and New York, pulling the influence of both places into the delirious energy of his work. 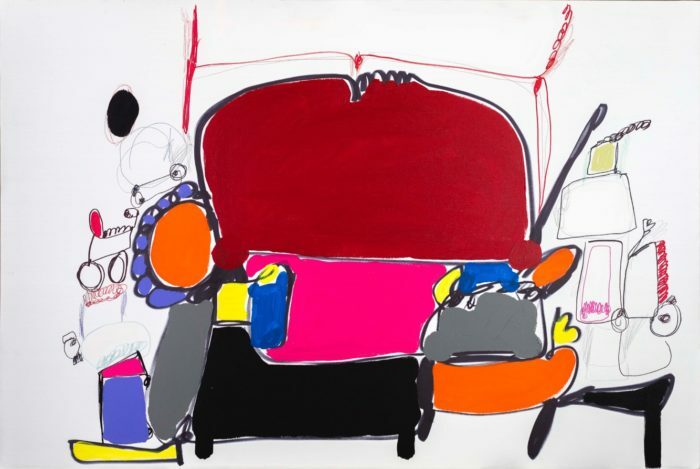 His interest in formalising the notion of children’s art is expressed through cartoon elements, bold unrestricted lines, and characters that stare out at the viewer, inviting us to enter into their anarchic universe. Xavi’s work has been exhibited in galleries and museums across Spain. He has also shown in numerous international exhibitions, including shows in Dubai, Antwerp and New York, where he has been represented by the Art Angler gallery since 2012. He has won numerous awards, including the XIII Painting Prize (University of Murcia, 2012), the Third Biennial of Engraving Etching (Valladolid, 2011), and the Bancaja Prize for Painting, Sculpture and Digital Art in 2006, 2008 and 2009.